How was the New Testament created, and where did the original books come from? By the 2nd century, hundreds of texts had been written about Jesus and about people who knew him, including 30 gospels purportedly by the disciples themselves. One third of the NT is written anonymously1 and the rest is pseudepigraphic, where an author writes in someone else's name, excepting some of the letters of St Paul, which are genuine. The oldest fragments we have are two small pieces from 125CE, one from an unknown gospel and one from the Gospel of John. The earliest complete manuscripts we have are from the 3rd and 4th centuries2. All ancient manuscripts we have found differ from the later ones that came to form the Bible3 and there was a constant stream of editing, masking, forgery and invention in the evolution of those books3. The Church Fathers themselves quoted Jesus from sources that are still unknown4 - from texts that may have been more historical that the ones that finally made it into the Bible. The Christian community itself knew that most texts were fraudulent and "there were long, protracted and often heated debates in the early church over forged documents"5. It was the centralized, Roman-influenced forms of Christianity whose stories were most successful6. The first person to decide upon the list of the 27 books of the New Testament was the Bishop of Alexandria, Athanasius, in a letter dated 367CE, stating that these and no others, should be considered canonical7,8. This included only 4 of the gospels for the pagan-sounding reason that there are "four winds", "four points of the compass". 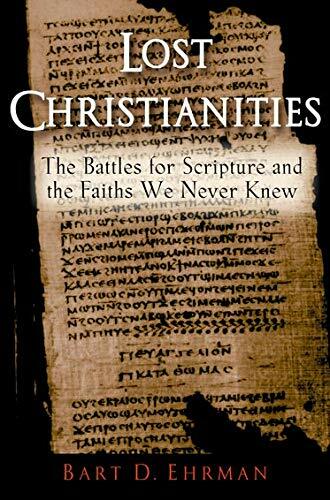 Given the diverse sources of these texts and that the original disciples and their followers left no first hand writings, there was never any way for Christians to check the authenticity of any of the Christian texts that formed the New Testament. No-one ever did find any relatives or eye-witnesses of Jesus in order to ask them, and no-one ever knew where Jesus was buried, so, debates over who had the right texts was solvable only by force over hundreds of years. How Did They Make the New Testament (NT)? 1. How Did They Make the New Testament (NT)? Knowing what really happened regarding Jesus is very difficult, and the New Testament (NT) gives us no historical evidence due to the nature of its texts. Jesus was an Aramaic-speaking Jew and Aramaic, a form of Hebrew, was not a written language. This is why the NT is written by later converts, in Greek2. Jesus is said to have been crucified in 30CE at the age of 34, and the oldest writings appeared after 75CE which leaves a forty year gap for his teachings to become known in Greek and finally written down after the scattering of the Jews from 70-90CE. The oldest fragments we have are two small pieces dating from 125CE, one from an unknown gospel which was not accepted into the Bible and another from the Gospel of John. One third of the NT is written anonymously1 and the rest is pseudepigraphic, where an author writes in someone else's name, excepting some of the letters of St Paul, which are genuine. The earliest complete manuscripts we have are from the 3rd and 4th centuries2. Well into the second century, Christians had no concept of a unified collection of texts that represented "the New Testament"4. The Catholic Encyclopedia is forced to admit that the "idea of a complete and clear-cut canon of the New Testament existing from the beginning... has no foundation in history"10. The oldest and first attempt to form a verified and canonical collection of writings was that of Marcion, who selected an older version of the Gospel of Luke and ten letters of Paul, in around 150CE4. The writings about Jesus are derived not from a single community or source, but from a wide variety of geographical areas and unknown authors. The Christian community itself knew that most texts were fraudulent or were fabrications, and it was the to-be "Orthodox" Christians' forgeries that were most successful6. The tormented way in which Christian stories were passed led to the production of over 200 hundred different books, many of them wildly different in their pronouncements, including around 30 principal gospels. All ancient manuscripts differ from later ones3. There was a constant stream of editing, masking, forgery and invention in the evolution of those books3. Rich and influential people of the time were particularly able to contribute to the mass of Biblical text through the sponsorship of copies. It was not until the Roman Empire's reunification that more complete and stable versions of Christian texts were produced. Many of these documents are now known to us, and are used to cross-reference our existing versions. As a result we know a great deal about the changes that have occurred over time, including mistranslations and falsifications. From the range of texts, Christian leaders decided upon a small canon of just 27 documents, which became known as the New Testament. The first person to list the 27 books was the Bishop of Alexandria, Athanasius, in a letter dated 367CE, stating that these and no others, should be considered canonical7,8. This included just four Gospels for the following spurious reason: "There were four winds, four points of the compass, four corners of the temple", mirroring the arguments of Irenaeus in the 2nd century - "just as the gospel of Christ has been spread by the four winds of heaven over the four corners of the earth, so there must be four and only four Gospels"11, who was already at that time concerned about the proliferation of so many different Gospels. In councils, the choices of books were made by the tried and tested democratic method of holding a ballot (i.e., voting). The discarded books were ordered to be destroyed across all lands, utilizing the organisational clout of the Roman Empire. Despite these deliberations, the final choices of what to include in the Bible was drawn out over a long time, and, it took a long time for various Christian communities to adopt the decisions of the Roman councils. As late as the 5th century, many early Christian communities still argued vehemently against the correctness of the 27 books that were canonized. For example in Syria, the Christian Church thought that only 22 books were authentic and in Ethiopia they had 31 NT books7. In the year 450 Theodoret of Cyrrhus, Turkey, "said that there were at least 200 different gospels circulating in his own diocese"10. Given the diverse sources of these texts and that the original disciples and their followers left no first hand writings, there was never any way for Christians to check the authenticity of any of the Christian texts - hence why the debates over who had the right texts was simply solvable except by force. 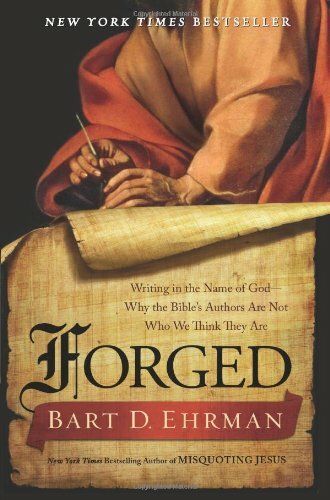 “... numerous forged documents that emanated from the early church, numerous Gospels, Acts, letters and apocalypses (these are the four literary genres of the New Testament), all of them claiming to be written by apostles. [... They tell] stories about Jesus or record bizarre teachings supposedly spoken by him, Gospels allegedly written by Jesus's brother Thomas, his disciple Philip, and his female companion Mary Magdalene. All of these books claimed to be authentic, but each of them was classified as a 'forgery' by other early Christians who did not believe the apostles had actually written them. [...] Most church leaders did not appreciate fabricated documents. But there were plenty to go around. Today we still have copies of Acts of John, Peter, Andrew and Thomas as well as fragments of earlier works that no longer survive intact. There were also forged letters, including a set of letters between Paul and the most famous philosopher of his day, Seneca, which showed not only that Paul was on intimate terms with the greatest minds of the empire, but also that he was respected and revered by them. Some later church leaders maintained that these letters were authentic, but others thought they had been forged for the purpose of making Paul look good. There were also debates over the authenticity of other letters of Paul, and of Peter, and even of Jesus. Some of these other writings still survive. So too forged apocalypses dotted the Christian literary landscape, including a fascinating account discovered in 1886 in a tomb in Egypt, a firsthand account allegedly written by Peter in which he is given a personal guided tour, by Jesus himself, of heaven and hell [... and] almost made it into the New Testament, as there were church leaders well into the fourth century who claimed that it was Scripture. The hundreds of documents about Jesus, all contradictory in style and content, derived from multiple physical locations. The disparate stories, all of which use pagan and roman myths interwoven with typical Greek god-man stories14, hint to us that the entire escapade is the result of historical revisionism. In other words, stories about Jesus spread as a result of a single preacher, perhaps St Paul (who never met Jesus and probably never really met the disciples), and people merely (in typical fashion for the era) rewrote older stories but now put Jesus at the core of them, just as happened with other Roman gods and heroes. Hence, a new religion sprung out of thin air, fooling many into thinking there was an actual historical figure. Once this process had started at the end of the first century, it was already impossible for anyone to go back and verify the stories. No-one ever did find any relatives or eye-witnesses of Jesus in order to ask them, and no-one ever knew where Jesus was buried. Where did the Stories About Jesus Come From? "We do not need to speculate that Christian scribes altered the texts they copied. You can take any book of early Christianity and compare the surviving copies, whether it is a book from the New Testament, say, one of the Gospels or Paul's letters, or a book from outside the New Testament, say, the Infancy Gospel of Thomas or the Epistle of Barnabas. The copies will all differ, often in lots of minor insignificant ways and sometimes in big ways."